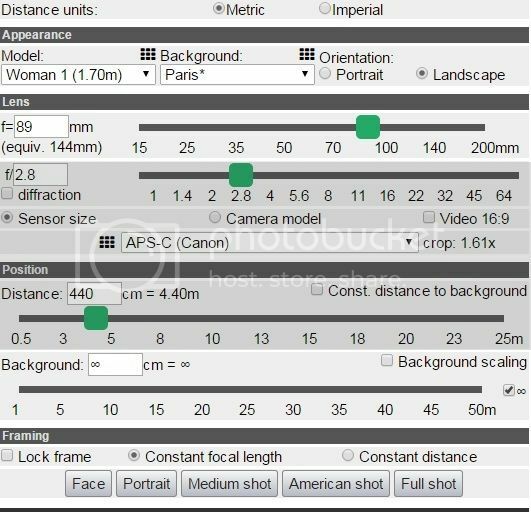 Bokeh simulator & depth of field calculator is a web application that let beginner calculates the camera depth of field and background blur in a photo and simulates it on a model together with perspective distortions and different types of lens blur (bokeh) for any lens, camera and distance combination. It includes also diffraction effects and hyperfocal calculation. Activating the help mode shows description of the interface elements. By clicking on one of the buttons with question mark () you can read detailed information about particular panel of the interface. 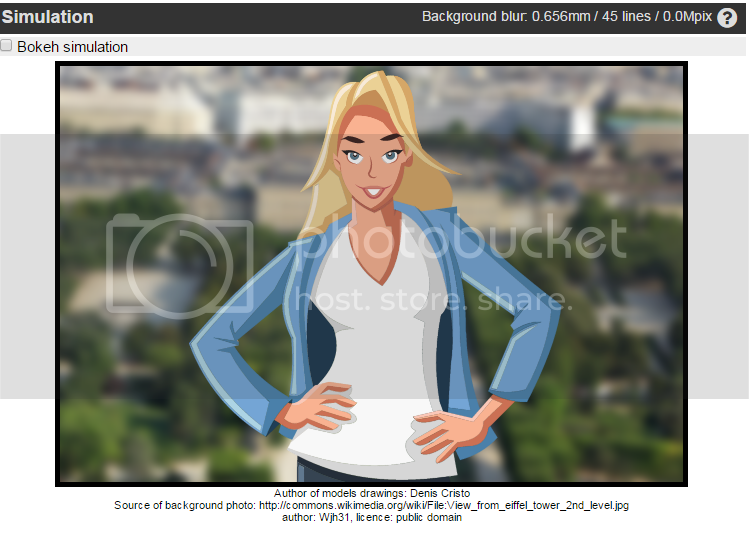 The simulator makes use of modern web technologies, such as HTML5 and CSS3 and may not work correctly in older browsers. It has been tested to work with Chrome 20.0, Firefox 4.0, Opera 12.0, Safari 6.0, Internet Explorer 10 and newer. The most fluid operation is provided by Chrome.